Editor's note: Our Splash Health, Wellness and Wearables event is coming up on March 23 in San Francisco. We'll have Mario Schlosser, Founder & CEO of Oscar Health, Brian Singerman (Partner, Founders Fund), Steve Jurvetson (Draper Fisher Jurvetson), J. Craig Venter (Human Longevity), Lynne Chou (Partner, Kleiner Perkins), Michael Dixon (Sequoia Capital), Patrick Chung (Xfund), Check out the full lineup and register for tickets before they jump! If you’re a healthcare startup and you’re interested in being part of our competition, learn more and register here. Also, vote for your favorite healthcare startup before February 16! Vote here! The locksmith industry is about to get seriously disrupted, as KeyMe, a startup that allows users to store, share, and duplicate their physical keys using a digital scan that is securely stored in the cloud, just raised its second big round of funding in the last three months. On Wednesday, the company announced that it has raised a new $25 million round of funding, led by Benefit Street Partners, an affiliate of Providence Equity Partners. This new round comes on the heels of the company's $15 million Series C, which it raised in September, and it brings KeyMe's total funding to $70 million. Previous investors included QuestMark Partners, Comcast Ventures, Battery Ventures, White Star Capital, 7-Eleven, Ravin Gandhi, and the Polsky Family Office. "The pace and magnitude of our funding from top-tier investors reflects the extraordinary customer reception for KeyMe's service, the over 10,000 kiosk demand from our retailers, and the clear path we have to become the leader in this $7.5 billion per year industry," Michael Harbolt, VP of Marketing at KeyMe, told me when I asked why the company had raised another round so soon after its last funding. 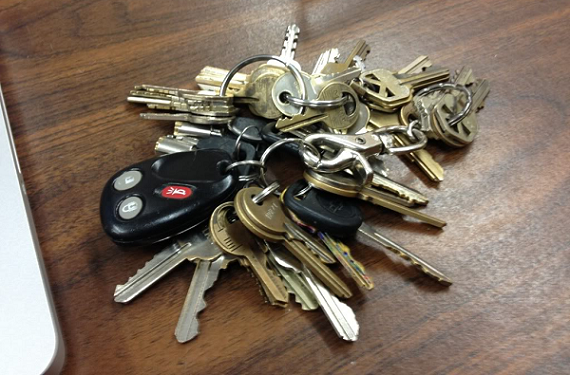 The KeyMe App allows users to digitally scan keys from their mobile device. 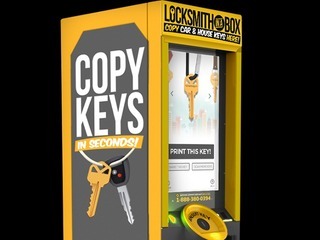 They can print their key at one of KeyMe's kiosk locations, or get a key cut by your local locksmith using instructions in the app. In addition, KeyMe allows customers to save digital copies of their keys in the cloud. Customers can then recover a copy using their fingerprint at any of its kiosks. Users can also have keys mail ordered, and shared with family and friends. It supports the majority of key types including home, office, mailbox, padlock, Mul-T-Lock and select Medeco keys. It also supports over 85 percent of car keys at its kiosks, which can be found in retailers including Bed, Bath & Beyond, Rite Aid, 7-Eleven, Albertsons, Kmart, Mall of America, Safeway and Sears. The company alleviates potential security concerns about uploading keys to the cloud by not storing information linking any key with a location or lock. It also deletes mailing address once the order has been shipped. In addition, all transactions are verified with a credit card, and the company requires email verification for mobile and fingerprint submissions for kiosk. KeyMe also provide real-time notifications any time new activity occurs on an account, so the user would know if someone made an unauthorized copy. All of that is designed to make it more difficult for someone to make a copy of a key without permission. "Our goal is to fundamentally transform the way millions of people manage their keys by putting them in control of when and where they can access them. We have seen how many unscrupulous emergency locksmiths and fly-by-night operations have stretched the patience and trust of their customer base to the limit through price gouging and fraud. We plan on becoming the industry leader by providing an unrivaled customer experience, delivering the accuracy, security, and pricing," said Harbolt. This new round of financing will go toward supporting the company’s expansion plan to add, on average, more than 50 new kiosks per week, eventually bringing more than 3,000 next-generation kiosks to leading retailers by next year. Right now it has several hundred kiosks and will achieve 3,000 locations in the second half of 2017, Harbolt told me. "We are on pace to deploy kiosks at a throughput rate second only to Redbox during their peak," he said. In addition, the company is also "working to improve the KeyMe experience every day." "To date, we have made many exciting improvements to the kiosk, including expanding support for more modern 'fob' car keys, as well as adding support for additional vehicles like motorcycles, boats, recreational vehicles such as snowmobiles, ATVs & golf carts and more. We have also made improvements to our mobile app, making it faster and easier to use than ever before," said Harbolt.